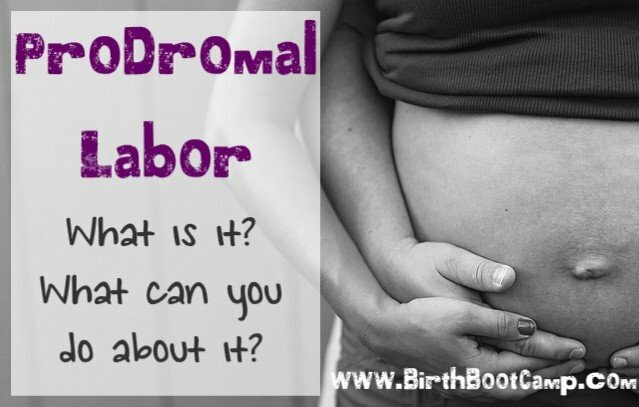 Prodromal Labor- What Is It and What Can You Do About It? Many birth professionals feel that prodromal labor is the result of poor positioning on the part of the baby. Sometimes a baby that is positioned â€œsunny side-upâ€ or posterior will want to move into a more optimal or anterior position. It is possible that this is just how some women labor, and maybe you are one of these women. While it doesn’t sound fun, it is possible to have a positive and even natural birth experience with prodromal labor. The bad news is that it can be exhausting both physically and emotionally. The good news is that you and your partner will have lots of practice sessions where you can put into use all the relaxation techniques and positions you learned in your birth class. The other good news: often when a woman who has prodromal labor finally goes into the â€œreal thingâ€- it goes quickly. Your body has been working, warming up, and getting ready for your birth. Prodromal labor isn’t a bad thing! It is just one variation of how women prepare for birth. Prodromal labor isn’t a sign that you don’t work, but the opposite. Your body is trying to get ready for a great birth! Patience can be hard, especially with the added stress of expectations from yourself and others and the weight and discomfort common at the end of pregnancy. Rest when you can, enlist outside help in the form of your chiropractor, doula, midwife and partner, and give yourself permission to cry when you need to. You CAN still have an amazing birth.